Blackberry is soon going to launch its new mid-range smartphone called BlackBerry Aurora in Indonesia that comes with model number BBC100-1 and is listed for pre-order on an Indonesian retailer with a price tag of RP 34,99,000 (around $260). The Canadian company may launch this device soon in Indonesia as its available for pre-orders there and it might be available in other regions as well soon. The retailer listing comes with the images of the device as well but the exact details about its launch are currently unavailable. It comes with Gold, Silver and Black color options and also supports Dual-SIMs. The images leaked by the retailer listing shows the device with no touch buttons on front while we don't have any images of the rear panel of the device. The leaked listing confirms the specifications of the device that includes a 5.5-inch HD display with 1280 x 720 pixels resolution and is powered by a 1.4GHz Snapdragon 425 (MSM8917) processor along with the 500MHz Adreno 308 GPU. It comes with 4GB of RAM and 32GB of inbuilt storage capacity and also supports MicroSD card expandable storage slot with up to 128GB storage. It runs on the Android 7.0 (Nougat) OS out of the box and we also have an option of Dual-SIMs. 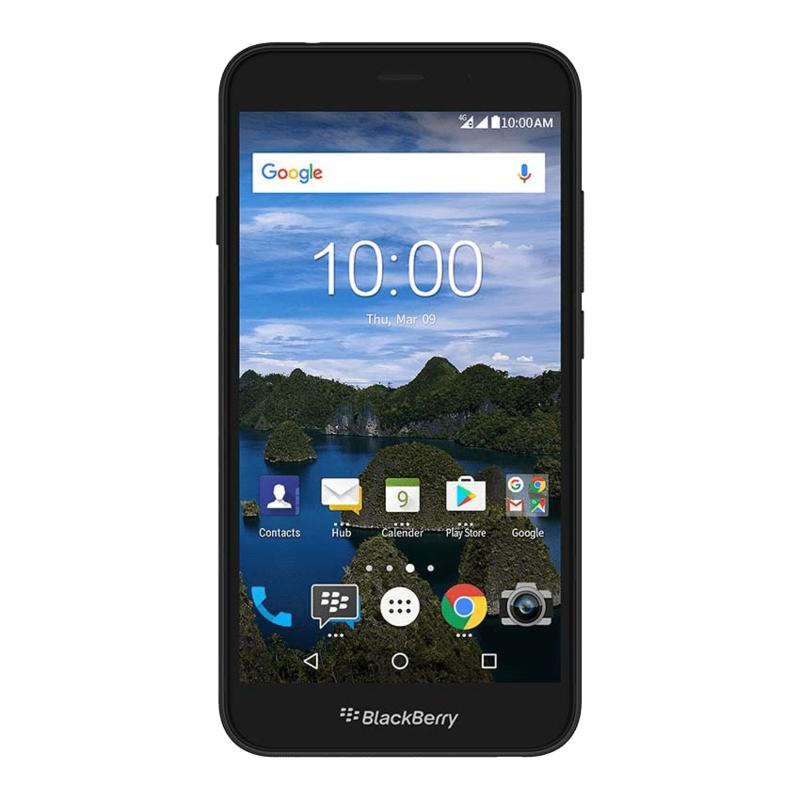 The Blackberry Aurora features a 13-megapixel rear camera with autofocus, 720p video recording @ 30fps and a LED flash along with an 8-megapixel front-facing camera. It comes with a 3000mAh battery that can deliver all day battery life with mixed usage. It comes with the support for 4G LTE, 3G, Wi-Fi 802.11 b/g/n, Bluetooth 4.1, GPS, GLONASS, 3.5mm. headphone jack, Micro USB and other connectivity options. It measures 152 x 76.8 x 8.5 mm and weights 178 grams. We now have to wait for the official announcement of the device that might not be far away. Blackberry recently launched the Blackberry KeyOne smartphone at MWC 2017 that comes with a 4.5-inch display, a 2GHz octa-core Snapdragon 625 14nm processor with 650MHz Adreno 506 GPU, 3GB of RAM, 32GB internal storage capacity, MicroSD card expandable storage up to 2TB storage, a 4-row physical QWERTY backlit keyboard with capacitive touch, Android 7.1 (Nougat) OS, a 12-megapixel rear camera with dual-tone LED Flash, an 8-megapixel front-facing camera, a 3505mAh battery with Qualcomm Quick Charge 3.0, a fingerprint sensor is available on the space bar, a 3.5mm audio jack, FM Radio, connectivity options like 4G LTE, Wi-Fi 802.11 ac (2.4 & 5 GHz), Bluetooth 4.2, GPS / GLONASS, NFC and USB 3.1 Type-C. Previous articleOppo’s 5X optical zoom technology spotted on a mystery Oppo device with dual rear camera, is it the Find 9?